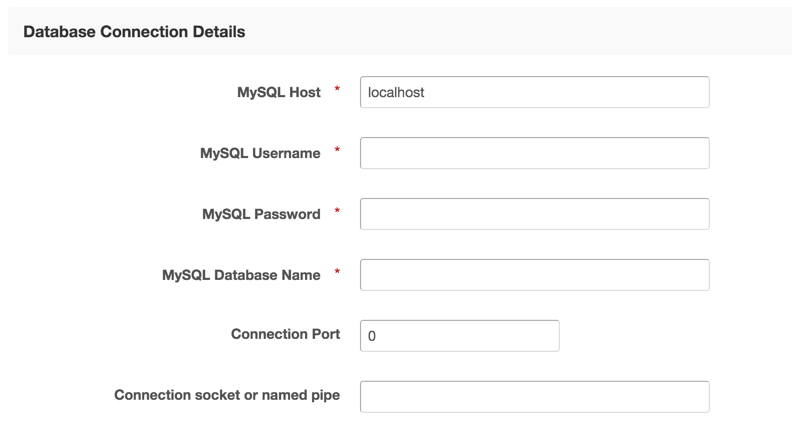 In the first section you will need to enter all the details to connect to your mysql data. Ensure these details are 100% connect and can be connected to from the server where your IPS installation is located. This is where you will set up the information related to where your users are located. You will need to provide the Table and at minimum either an email address or username column. You can of course use both if you are using both methods of login. 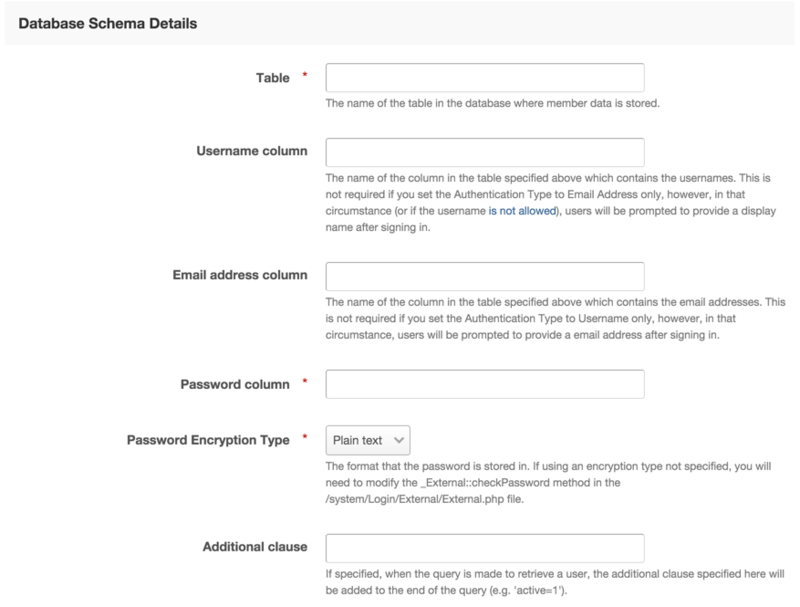 You will need to add in the password column and tell the system how this password is stored. If this is encrypted you will need to ensure you provide the correct Encryption type. There is also an additional clause which will allow you to add to the end of the query which returns users. So for example, you may have users who you do not want to have access and have a column named 'active'. This will allow you to add active=1 and it will add to the end of the sql statement 'WHERE active=1"
Finally you will need to set up which authentication type is being used, and whether or not to allow Admin CP login with this method.